In this article, however, we are going to focus on the attractive destinations you can visit in the southern region of Thailand. Forget about the hustle and bustle of Bangkok and the old architecture of Chiang Mai for a second. Here are the alternative attractions you want to visit on your next trip to this country. Thailand is famous for its nightlife. Whether you are visiting cities like Bangkok or tourism hot spots such as Phuket, there are always plenty of parties to go to in the evening. For unique yet better parties, however, what you want to visit is the island of Ko Pha Ngan. Ko Pha Ngan is a popular destination among international backpackers. There are several affordable accommodation options on the island plus more than enough clubs and bars to explore. In the evening, however, the entire island feels like one giant party scene. During the day, you can also visit the Ko Pha Ngan national park and go on long hikes. The island is incredibly beautiful and it is surrounded by equally-gorgeous water. It is also home to the best diving spots for those who want to enjoy the warm water. Check out the islands of Mu Ko Ang Thong just waiting to be explored. There are 42 islands you can visit, but the best way to start your adventure here is by taking a boat tour and enjoying the beautiful landscape. Mu Ko Ang Thong is home to Ko Wua Talap, a must-visit island that is part of the Mu Ko Ang Thong. The island features a thick green forest and challenging hiking trails to conquer. You will certainly love the beautiful beaches that welcome you to this island. There is also the Buaboke caves. This too is an attraction that challenges the adventurous side of you. The caves aren’t just beautiful; they are also intriguing. If you take a guided tour to the caves, you will be fascinated by both what you see and the stories you hear. Krabi is a province in southern Thailand that is now attracting more and more visitors from around the world. The biggest appeal of Krabi is its incredibly stunning beaches and the amenities that go along with them. 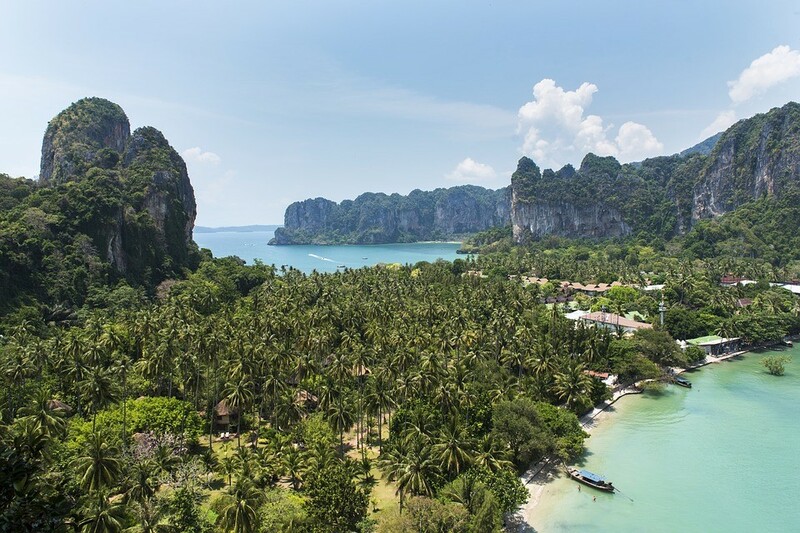 There is only one way to enjoy the best of Krabi, and that is by staying in the best resort and spending time admiring the natural beauty of its beaches. Krabi is known to be a family-friendly destination. You can find the best Krabi family resort without a problem. If you want to visit Thailand but you don’t want to stick with destinations like Phuket and Bangkok, these are among the best places to visit in the country. Just make sure you have your camera ready because the southern part of Thailand is notoriously beautiful.